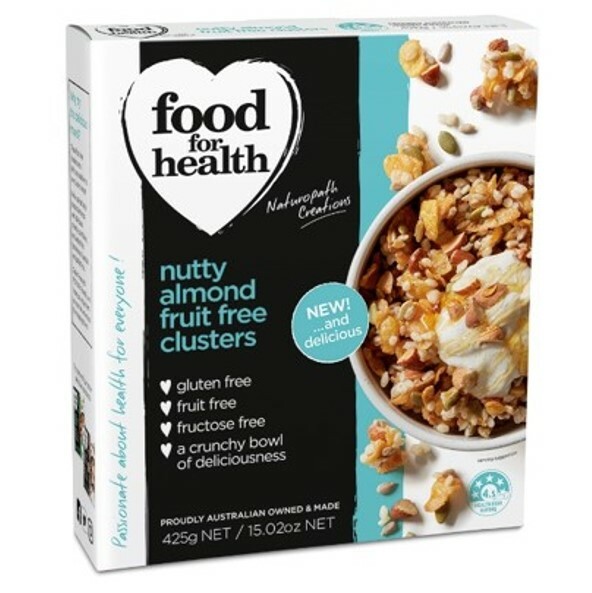 These Nutty Almond Fruit Free Clusters are a delicious addition to our clusters range! Making it easier for people with gluten and fructose intolerance, and also for people who simply like to make healthier eating choices. 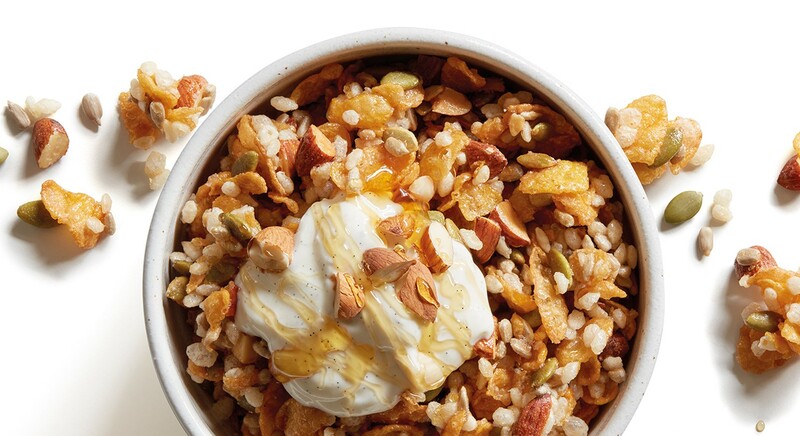 Food For Health’s Nutty Almond Clusters are paired with tasty toasted almonds and crunchy cornflakes, and added goodness of pepitas and puffed rice. They are Gluten Free and FODMAP Friendly and are delicious first thing in the morning with milk or the last thing at night with yoghurt as a healthy snack! Corn Flakes (Sugar Free) 20%, Sunflower Seeds, Puffed Rice, Rice Flour, Brown Rice Syrup, Pepitas, Almonds 5%, Sunflower Oil, Corn Starch, Natural Flavour. Almonds are a great choice for a high-protein snack. Almonds have high levels of amino acids, making them a high quality protein food.